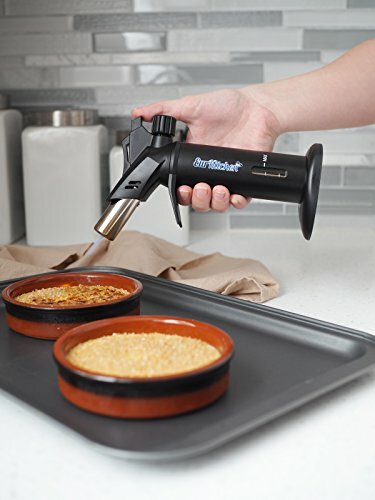 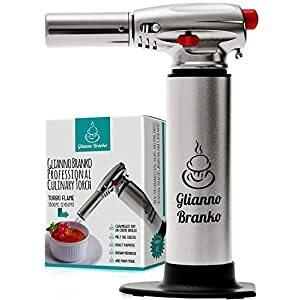 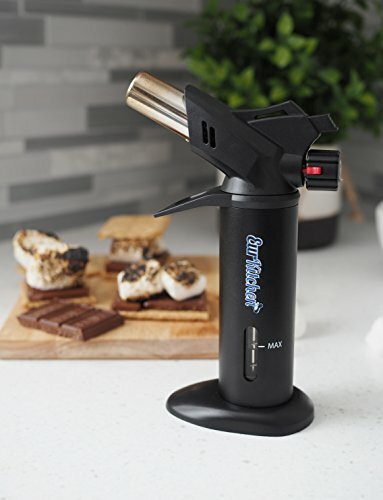 PROFESSIONAL GRADE: Perfect for a professional chef or avid home bakers, our torch provides unmatched flame consistency and reliability; Piezo press ignition allows for safe immediate lighting. 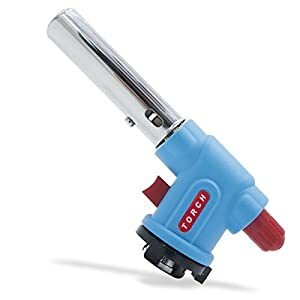 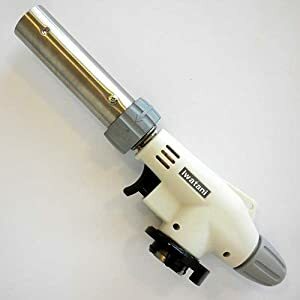 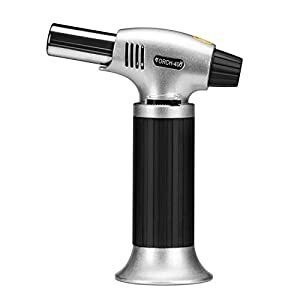 ADJUSTABLE FLAME AND REFILLABLE WITH FUEL GAUGE: Our mini blowtorch features a gas flow regulator dial to easily adjust flame and a fuel gauge to quickly know the torch’s current gas level; the torch can create a continuous flame up to 6 inches long with a temperature of 2370°F/1300°C. 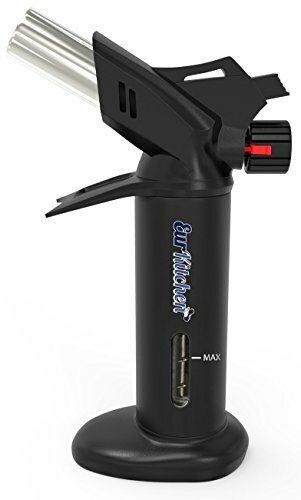 Quickly refill butane torch lighter with any brand of butane (not included). 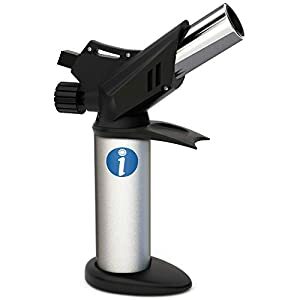 Please ensure the butane canister has the LONG UNIVERSAL REFILL TIP. 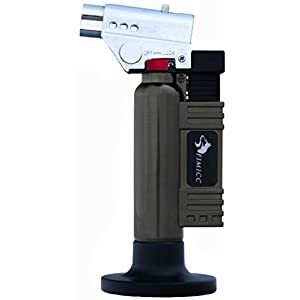 COMFORT FINGER GUARD: The built in finger guard protects you from burns and extreme heat while torching; torch is constructed with TUV CE certified aluminum and ABS plastic to ensure ergonomic comfort. 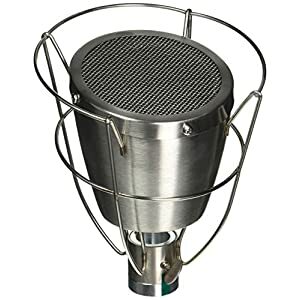 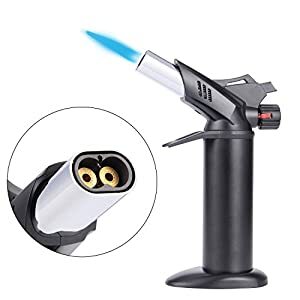 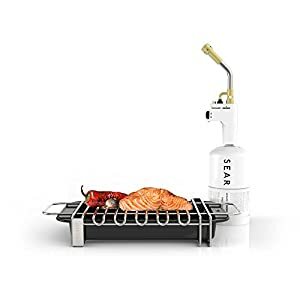 MULTIPLE USES: The torch is not just for the kitchen and can be used in multiple ways; it’s great for sous vide, flambe, searing meat, lighting a fire, cigar or BBQ grill and for craft and artist work. 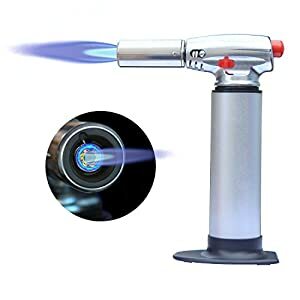 SATISFACTION GUARANTEE: Customer satisfaction is our number one priority; if you are not fully satisfied with our micro torch or it does not perform to your expectations, please contact us for an immediate full refund or replacement.